Looking for a cheaper alternative to Shopify? We've got you covered. At That Website Guy we don't take a cut of your sales, and you're much more than just another number. That Website Guy is a fully hosted website solution fully equipped with ecommerce features that will help you sell online. You can get started in just a few minutes and sell to customers all around the world. With the click of a button you can transform your pages into edit mode with the page builder giving you the freedom to easily customise to your hearts desire. Drag and drop elements onto and around the page, and a simple click-to-edit interface. Our app collection allows you to extend the functionality of your website or online store. It's a great way to add more specialised features. Whether you're opening a website to sell digital music, a fully-fledged apparel store, or a way for your customers to find and contact you online - That Website Guy has a solution for you. We make it easy to build and manage your online store. From adding pages and products to managing orders, it couldn't be simpler with That Website Guy. You can even manage your website on-the-go with our responsive admin panel! 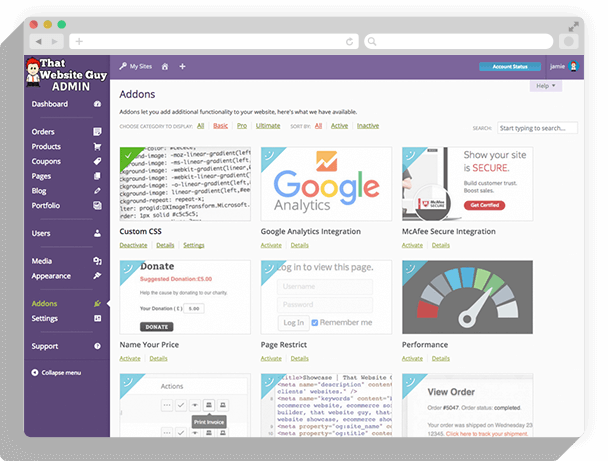 It's easier than ever to build attractive sales pages - thanks to our drag-and-drop page builder. It even comes with a selection of pre-filled templates that you can work from to get you started in a flash. Easily customise just about any part of your design with an instant preview. We pride ourselves on making sure our websites are fully responsive so they look and work beautifully on any device. You'll get dedicated personal support for your website, so if anything goes wrong or you're unsure of anything at all you can be sure there will be someone to help. That Website Guy offers a fully customisable store design. Are you a beginner to web development or ecommerce? Relax, we make it simple to build your online store, and you can always read the knowledge base or reach out for support. Our online store builder will help you create a beautiful website to sell your products that works on any device - even mobile! Get ahead of the competition with That Website Guy. Don't know HTML or CSS? Don't worry, we've got you covered. You can customise just about any part of your website to your hearts desire without needing to touch a line of code. Try before you buy! 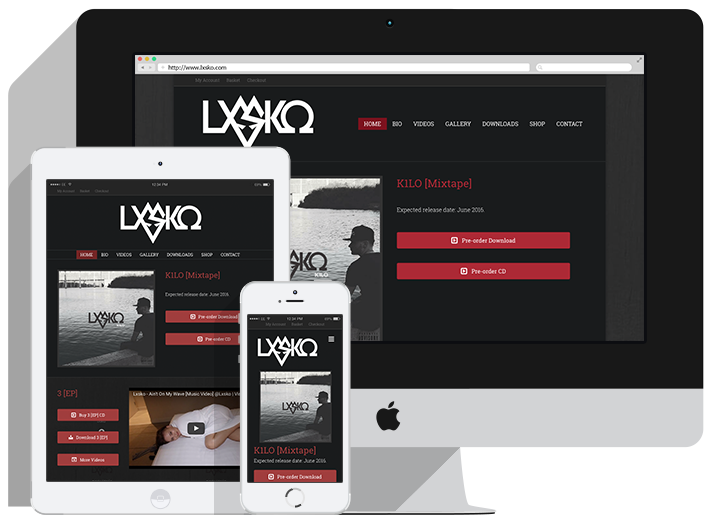 Try our store builder for an unlimited time completely free - no payment details required.